General David Petraeus took his mistress Paula Broadwell with him on a government funded trip to Paris after he was named director of the Central Intelligence Agency, according to news reports. David Petraeus made the trip with 40-year-old Paula Broadwell, who has written a fawning biography of him, in July 2011, an unnamed source told Buzzfeed. He was heading to his new job as chief of the CIA at the time. Sixteen months later, the four-star general has resigned from his post after his affair with Paula Broadwell was uncovered by the FBI. Buzzfeed also reports that David Petraeus’s unofficial press agent, Tom Ricks, helped Paula Broadwell score a literary agent, a publisher and a six-figure deal for her biography. 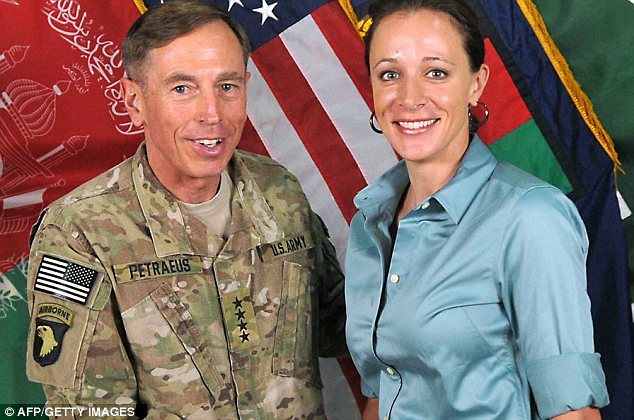 Paula Broadwell isn’t the only biographer of David Petraeus’s who has gotten special treatment from him. His first biographer, former U.S. News and World Reporter Linda Robinson, went to work for David Petraeus at U.S. Central Command shortly after publishing her book, Tell Me How This Ends: General David Petraeus and the Search for a Way Out of Iraq. David Petraeus’s affair with Paula Broadwell was uncovered when the FBI began an investigation after suspecting corruption between the pair. He issued a statement acknowledging the affair after President Barack Obama accepted his resignation, which was announced by the CIA soon after. “After being married for over 37 years, I showed extremely poor judgment by engaging in an extramarital affair,” he said in the statement.